At the Marrone Law Firm, LLC, in Philadelphia, Pennsylvania, we are fully prepared to help you protect your rights while fighting to achieve the favorable outcomes you deserve for the serious and complex legal challenges threatening your life, your livelihood, your freedom and your future. Our team of dedicated attorneys have decades of combined legal experience that we can draw upon to help you resolve you matter efficiently, and we promise to always work directly with you throughout all legal proceedings to ensure we provide the top-notch counsel and support you deserve. 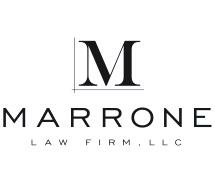 With an additional office in Cherry Hill, New Jersey, the Marrone Law Firm, LLC, has become one of the area's leading law firms for those in need, and we have earned recognition for several national peer review sources as being among the best lawyers and law firms in the country. To find out more about what we can do for you and your family, you can call our office or visit our website to schedule a free initial consultation.